Faneuil Hall Marketplace: A great place to walk around with lots of shops, carts and kiosks as well as many inexpensive places to grab a bite! In the heart of Boston, Faneuil Hall is easily accessed by several T stops, including Government Center, Aquarium/Faneuil Hall, and State Street. Matinee: Hit the movies! Film showings before 4 p.m. are $9.50 in the Boston area, with some tickets as low $8, depending on the theater. Go before noon and most theaters only charge $6! The perfect thing to do on a rainy day in Boston. 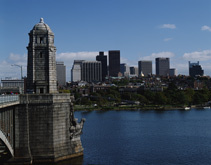 Also check out our New England Regional Food Tour for more about local Boston specialties.